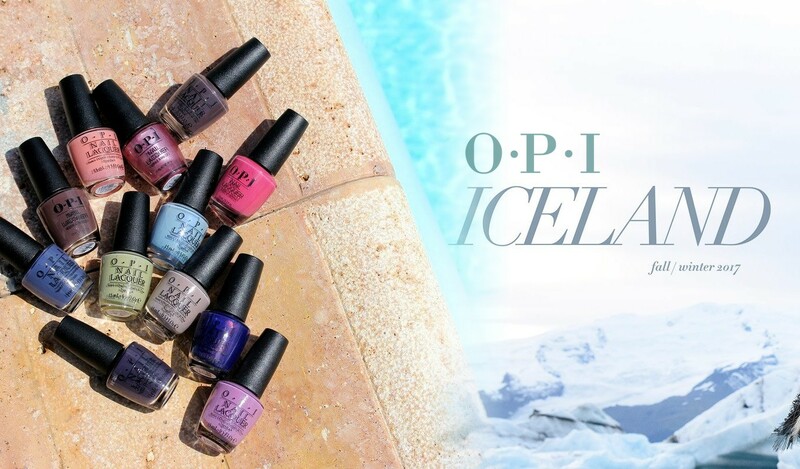 Here I am with a nail polish blog post with lots of swatches and it's all about the new Fall collection of OPI inspired by Iceland! 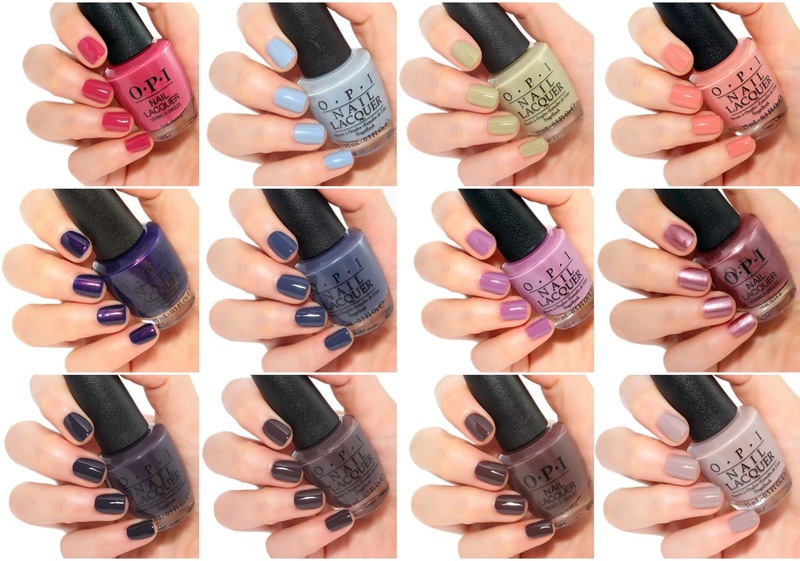 To be honest, this is one of my favorite OPI collection since a long time. I love all colors and there are some really gorgeous ones! Formula is excellent! Aurora Berry-alis - "When the sun goes down, glowing pink lights up the night." This is a medium berry pink creme. This one is a one coater, 1 coat is all you need. Check Out The Old Geysirs - "And call this true blue your new faithful"
This is a shimmery icy blue with grey undertones. I really like the shimmer in it and the grey undertones, it looks great for fall! I used 2 coats. Icelanded of Bottle of OPI - "And you’ll make the softest touchdown in this dove beige"
This is a gorgeous soft beige that is opaque in 2 coats. I’ll Have a Gin & Tectonic - "Skal! 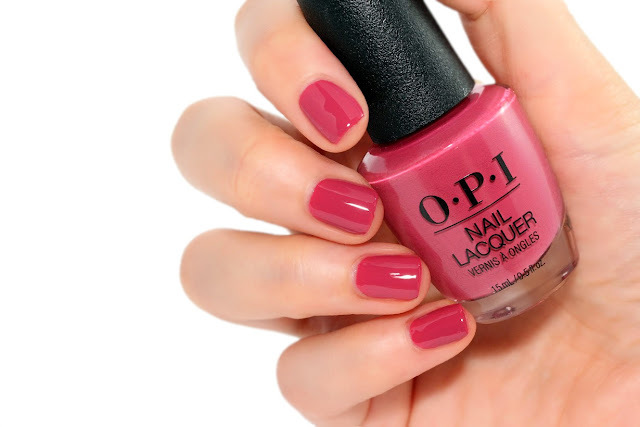 Here’s our toast to all that glows beneath the surface"
This is a peach creme opaque in 2 coats. Krona-logical Order - "Here’s a rich espresso that’s right on the money"
This is a dark and deep brown creme opaque in 2 coats. 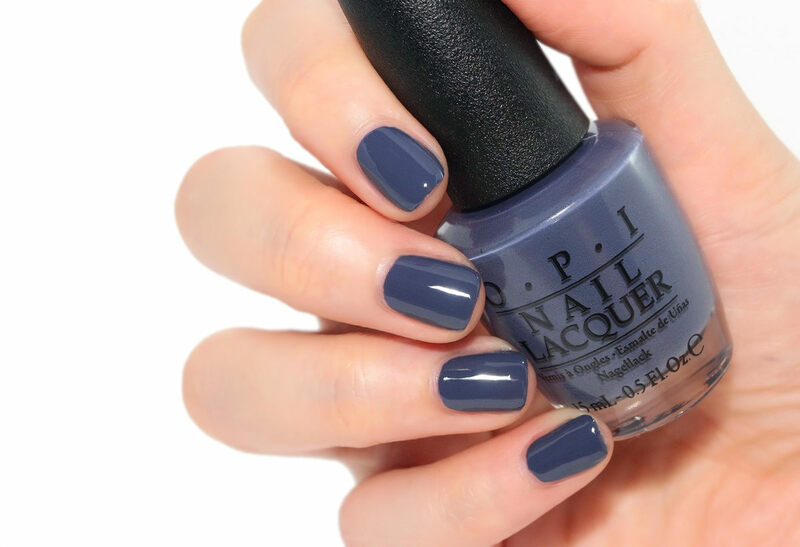 Less Is Norse - "But this dark ice blue says the Nordic the merrier"
This is a deep dusty dark blue creme. It's opaque in 1 coat but I used 2 here. One Heckla Of A Color - "Feeling volcanic? You’ll find a hot companion in this frosty purple"
This is a dusty lavender, a fall version of a lilac color. I didn't expect to like this one as much as I do! It's opaque in 2 coats. Reykjavik Has All The Spots On - "You’ll be shimmering in the spotlight with this dusky mauve"
This is a pinky bronze shimmery foil. I used 2 coats and formula was very nice, not streaky. Suzi and The Arctic Fox - "Bring out the fox in you through this purple-kissed hue"
This is a very deep and dark plum shade (almost black) opaque in 2 coats. That's What Friends Are Thor - "Who’s afraid of Ice Giants? 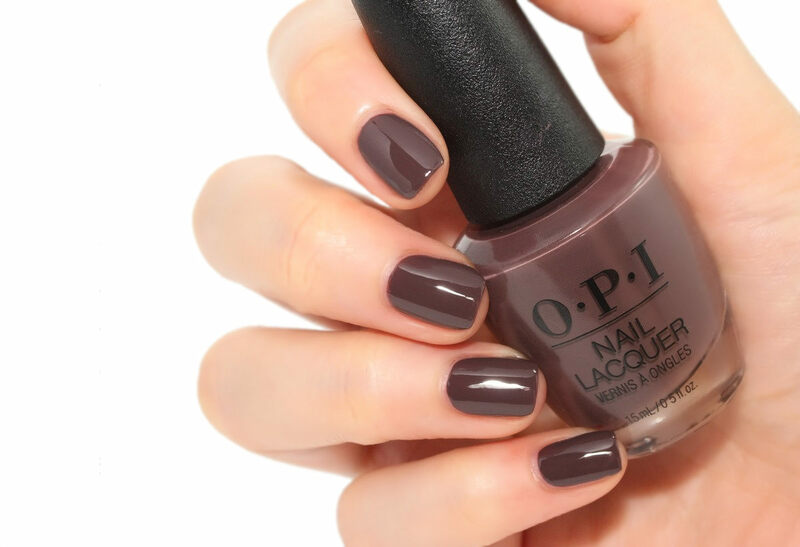 Not you in this powerful, earthy brown"
This is a medium-to-dark warm brown opaque 2 coats. This Isn’t Greenland - "But wherever you wear it, this mystical moss fits right in"
This is a dusty green with yellow and grey undertones and opaque in 2 coats. That's an original color taht I love. You know, I love weird colors! Turn On The Northern Lights! 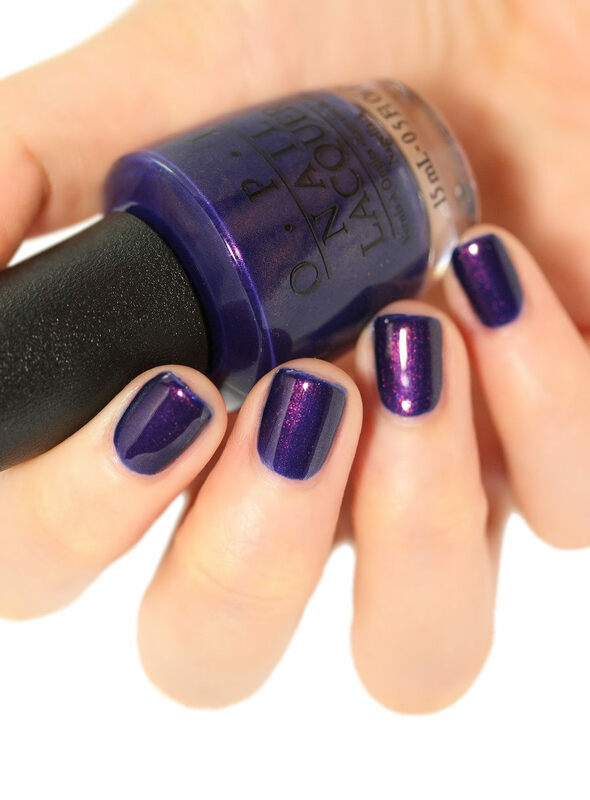 - "Straight from the midnight sky, this deep purple sets the stage for an unforgettable show"
That's an inky blue with a strong purple/pink shimmer opaque in 2 coats. That's such a stunning polish! I love the shimmer. As I said at the beginning of this post, that's a gorgeous collection and this is typically the kind of collections that reminds me why I love nail polishes. Good job, OPI! Do you have a favorite, please let me know! These are all really pretty shades but I always get a real kick out of the names that OPI use! haha I love OPI names, they're always fun! Thank you, Natalie! I also really like the collection, the colors of gorgeous and just perfect for fall. I also love the different shades of brown. If I have time I want to try a nail art with them! The whole collection is very beautiful, but I like One Heckla Of A Color the most. Toutes ces couleurs me font tourner la tête ! Tu sais aussi à quel point j'adore les vernis hi hi ! Je ne regarde pas trop tes magnifiques photos sinon je vais craquer :) Bisous ! I agree. I liked the whole collection, which doesn't happen often. My favorite, probably is a tie between Reykjavik and Geisers and Northern Lights, just love the shimmers. The creams are great too like Norse and Aurora. Th only one I don't have is Greenland as it might wash me out with my pale skin, but looks nice on you. 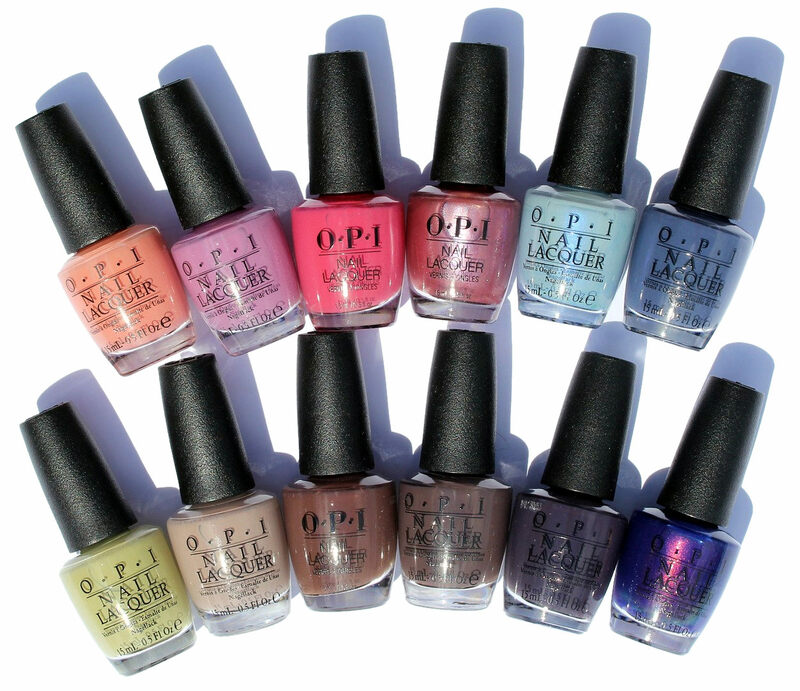 Great job on this collection OPI, you got me interested again!